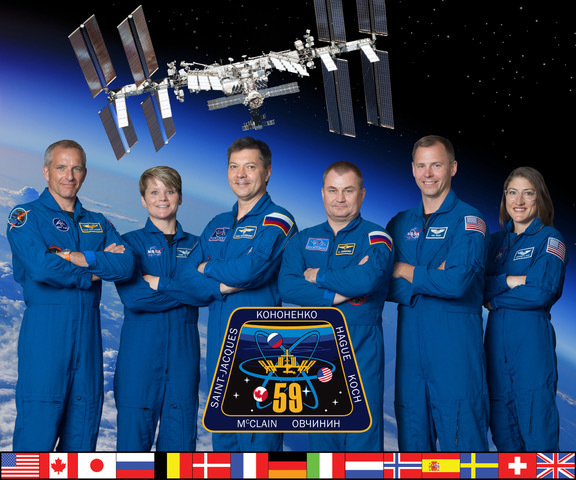 All SSEP student flight teams for the 15 Mission 5 to ISS experiments are still driving against a May 6, 2014, launch. All mini-labs containing the flight experiments are due at NanoRacks in Houston by Friday, April 18, 2014, for integration into the SSEP Charlie Brown payload. Charlie Brown will then be integrated into the Cygnus spacecraft for launch as Orb-2 from the Mid-Atlantic Regional Spaceport (MARS), Wallops Island, VA. However, a May 6 launch of Orb-2 to the International Space Station (ISS) can only take place if the launch of SpaceX-3 out of Cape Canaveral Air Force Station, FL – also bound for ISS – is so significantly delayed that Orb-2 is given the go ahead to launch before SpaceX-3 (see April 14, 2014 Post). We were expecting a launch of SpaceX-3 on April 14, but that did not occur due to a helium leak in the Falcon 9 rocket. Current Status: the Orb-2 launch has not yet been moved ahead of SpaceX-3. NASA has rescheduled the launch of SpaceX-3 for Friday, April 18, at 3:25 pm EDT. NASA is also holding open a second window for a launch attempt on Saturday, April 19, at 3:02 pm EDT. If SpaceX-3, for whatever reason, does not launch by Saturday, we are assuming that Orb-2 will be given the go to launch on May 6. If SpaceX-3 does launch by Saturday, the Orb-2 launch, and the flight of the SSEP Charlie Brown payload will be delayed until mid-June. The space drama …. continues. Stay tuned. Below is yesterday’s NASA Press Release (April 16) with more details, as well as times for NASA TV live coverage of the launch of SpaceX-3, and the arrival and berthing at ISS of SpaceX-3’s Dragon spacecraft. Also below is a NASA TV portal if you’d like to watch all this live, right here at the SSEP National Blog. NASA and SpaceX are targeting a 3:25 p.m. EDT launch on Friday, April 18, of SpaceX’s third cargo resupply mission to the International Space Station from Cape Canaveral Air Force Station in Florida. NASA Television coverage will begin at 2:15 p.m. The company’s April 14 launch to the orbiting laboratory was scrubbed due to a helium leak in the Falcon 9 rocket that will launch the Dragon spacecraft to the space station. Dragon is carrying to the space station almost 5,000 pounds of science and research, crew supplies, vehicle hardware and spacewalk tools — all to support the crew and more than 150 scientific investigations planned for Expeditions 39 and 40. If needed, another launch attempt will take place at 3:02 p.m. Saturday, April 19. NASA Television coverage of Dragon’s arrival at the space station will begin at 5:45 a.m. Sunday, April 20. Expedition 39 Commander Koichi Wakata of the Japan Aerospace Exploration Agency will use the space station’s robotic arm to capture the spacecraft at approximately 7 a.m. NASA’s Rick Mastracchio will support Wakata during the rendezvous. NASA Television coverage will resume at 9:30 a.m., as the Dragon is attached to the Earth-facing port of the space station’s Harmony module. An April 18 launch will allow the space station program to plan for a spacewalk on Wednesday, April 23, to replace a failed multiplexer-demultiplexer (MDM) relay system. The prime MDM, which is operating normally, and the failed backup computer provide commands to some space station systems, including the external cooling system, Solar Alpha Rotary joints and Mobile Transporter rail car. A separate media advisory providing NASA TV coverage times for the April 23 spacewalk will be issued at a later date.